A lipstick is a must-have item in a lady’s makeup bag. It is the secret of a woman’s impeccable look regardless of seasons and occasions. However, it is often that consumers only pay attention to the brand, colour, shining effect, scent and moisturizing features, instead of the chemical additives listed on the product label when choosing a lipstick. Since lipsticks are a necessity for women, we should be aware of the harmful chemicals inside to minimise the health risks due to prolonged and excessive exposure to toxicants. 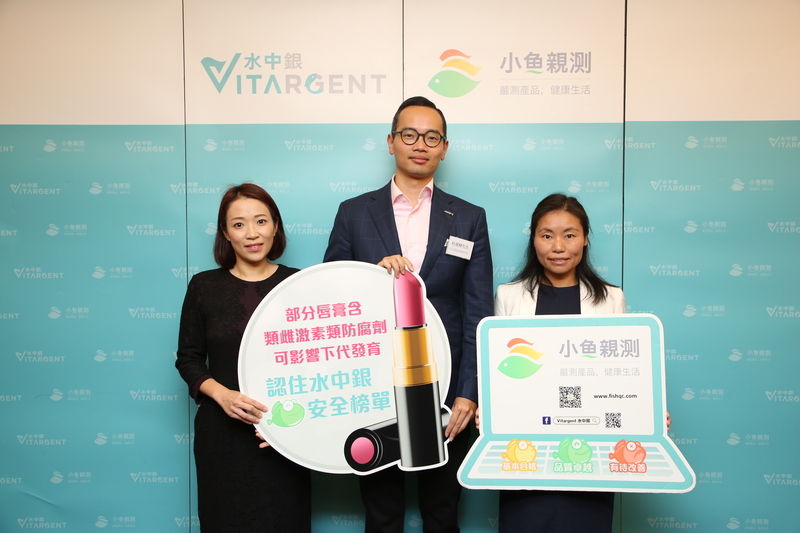 Between April and August 2017, Vitargent purchased a total of 31 lipstick samples under 24 brands, including renowned international names such as YVES SAINT LAURENT, L’Oréal, Shu Uemura, CHANEL, Maybelline, REVLON, Max Factor and Innisfree, from makeup counters, Watsons and online platforms (JD.com and Tmall.com) for fish embryo toxicity tests.